Sheffield United will soon have no room for manoeuvre in their attempt to keep their promotion dream alive. Lose at home to Middlesbrough tonight and the dream of back-to-back promotions and returning to the Premier League will essentially be gone. Sheffield United's John Fleck is hassled by Barnsley's Liam Lindsay during Saturday's match at Oakwell (Picture: Simon Bellis/Sportimage). A plethora of poor results of late has left the hopes of manager Chris Wilder’s Championship side hanging in the balance. Whereas this evening’s opponents arrested their own dip in form by beating Nottingham Forest 2-0 on Saturday to keep hold of that crucial sixth place, United’s recent malaise only continued to the bafflement of all. 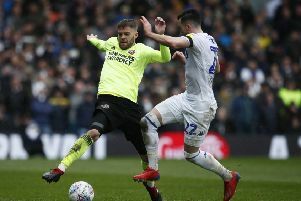 Falling 3-2 to a late decider at struggling derby rivals Barnsley on Saturday means they have returned just one win from the last seven outings despite at times dominating opponents for many of those contests. If they continue to let winning positions slip they will be left to rue a glorious missed opportunity. They are ninth, four points behind Boro with just five games remaining, highlighting the critical importance of the Bramall Lane contest. “There’s no getting away from it, we’ve got to win now,” admitted midfielder John Fleck, whose stunning strike and assist for Leon Clarke had seemingly put United in command at Barnsley. “Our aim is to get into the play-offs and this makes the next game with Middlesbrough, who are in and around us, even bigger now. “It’s frustrating because we probably should be well in there (the play-offs). “We need to take our chances and cut our mistakes out. There’s a belief we can get back in there. 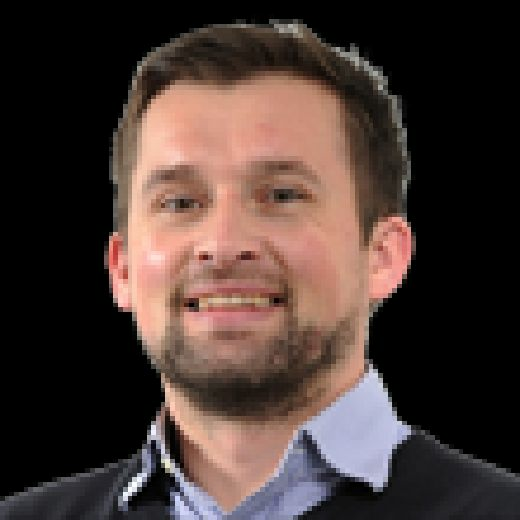 The most alarming concern for United, though, is that no one seems able to put a finger on why they have become so vulnerable over the last month. Ex-Rangers star Fleck admits he does not know why they continue to self-implode by conceding “silly goals” after getting on top. “I’m not sure. I feel as if we had a few chances second half (at Barnsley), but did not kill them off,” he added. “I’m not sure why. It’s not just the strikers, it’s all of us as a team. “So we just need to keep going and try and get a win. The manager had a go at half-time and we responded in the right way. “Obviously we got two good goals and then we go shoot ourselves in the foot again with the goals we conceded. “It seems to have been the story for the last few games with us. Granted the Teesside club had their own wobble, but two draws and a loss after three successive wins is hardly comparable to United’s current plight. The Blades’ footballing talent is unquestionable. The stomach for the fight is where question marks remain. Nevertheless, Wilder believes the situation can be retrieved. Certainly a glance at the remaining fixtures leaves them with reason to hope. Seventh-placed Millwall quickly follow at Bramall Lane on Saturday, another one of their rivals they can potentially overhaul, before a trip to relegation-threatened Birmingham City. Then Preston North End – in 11th two points behind the Blades – arrive in South Yorkshire before Wilder’s side finish off at Bristol City, currently in eighth but level on points with United. “Maybe everyone looks at us now, including some of our own supporters, and think it’s slipped, it’s gone,” Wilder said. “But fortunately we have the power to alter that process and hopefully we will. “I don’t see why we can’t have a big week. I don’t see why we can’t have a big night. “Now is the time for everyone, staff, players and supporters, to puff out their chests and give it everything they’ve got. United centre-back Richard Stearman remains absent, with a hamstring problem, as does goalkeeper Jamal Blackman, because of suspension. Boro are missing long-term absentee Rudy Gestede (broken ankle). Manager Tony Pulis told his side immediately after Saturday’s win that all that mattered was tonight’s contest and he will look to bring all his experience to bear in the definitive next few weeks. “It was a great three points, but I said they had to make sure they were ready for Tuesday night,” said Pulis. “That’s all we can do. If it goes for us, brilliant, if not we prepare again. Last six games: Sheffield United DWDDDL Middlesbrough WWDLDW. Last time: Sheffield United 1 Middlesbrough 2; April 9, 2011; Championship.